Fatigued? Has Your Immune System Been Ambushed? The majority of people, understandably, experience significant emotional distress after learning they have cancer. This emotional distress is more than just the initial shock. Cancer pulls you out of your life. Cancer sets your schedule. Cancer is the harbinger of change. Change and uncertainty and the rigor of treatment wear on a person – not just physically, but also on their soul. This is where cancer ambushes you and your immune system. Cancer and depression go hand in hand and depression suppresses your immune system. “Chemo brain” is a common term used by cancer survivors to describe their loss of concentration and memory problems. Chemotherapy, and other cancer treatments, are also blamed for the lingering fatigue that daunts cancer patients – sometimes for months or even years after they have finished treatment. Many of the symptoms of depression such as fatigue, lack of energy, memory impairment, sleep changes, and loss of interest in previously pleasurable activities already strike cancer patients because of the disease and its treatment. It can be very difficult to spot depression. 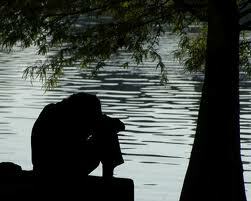 Under-recognition of depression in cancer patients is common. The American Cancer Society estimates that three of every four people suffering from “chemo brain” symptoms can actually attribute these symptoms to depression and other medication side effects. Chemotherapy is taking the rap for the effects of depression. Anyone diagnosed with cancer or a cancer caregiver will gain by reading the following article, “After cancer, ambushed by depression,” an article written by cancer-survivor Dana Jennings for the New York Times about the depression that hit him after his recovery from prostate cancer. I’m recovering well from an aggressive case of prostate cancer, I haven’t had any treatment in months, and all of my physical signposts of health are pointing in the right direction. And I’ve been ambushed by it. After more than a year of diagnosis, treatment and waiting, it’s almost as if, finally and unexpectedly, my psyche heaved a sigh and gave itself permission to implode. This isn’t about sadness or melancholy. It’s more profound than that. Broadly, I have a keen sense of being oppressed, as if I were trapped, wrapped up in some thick fog coming in off the North Atlantic. To be more specific, I’m exhausted, unfocused and tap my left foot a lot in agitation. I don’t much want to go anywhere — especially anyplace that’s crowded — and some days I can’t even bear the thought of picking up the phone or changing a light bulb. All of this is often topped off by an aspirin-proof headache. The fatigue frustrates me most. When I envision myself it’s as a body in motion, walking or running, not foundering in bed. On one recent day, I slept till 10 in the morning — getting 11 hours of sleep — then took a nap from noon to 2. And I was still tired. I’ve had occasional depression over the years, but nothing as dogged as this. When I first learned that I had prostate cancer, I wondered about depression. But after the shock of the diagnosis wore off, I was sharp and clear-headed. I wasn’t depressed as I went through treatment — surgery, radiation and hormone therapy. I was buoyed by a kind of illness-induced adrenaline. The bone-smoldering fatigue arrived in late spring/early summer, and intensified as summer deepened. I thought that I might be depressed, but resisted the diagnosis, didn’t want to countenance the idea that I could be depressed after all of my treatment. I stubbornly chalked the fatigue up to the lingering aftereffects of radiation and my fluctuating levels of testosterone. But I was wrong. I am seeing a psychiatrist who specializes in cancer patients, and have started a course of medication. My doctor assures me that depression isn’t unusual among those who are on the far side of treatment. Partly, I think, I’m grieving for the person I was before I learned I had cancer. Mortality is no longer abstract, and a certain innocence has been lost. And while the physical trauma is past, the stress lingers and brings with it days washed in fine shades of gray. In the same way that radiation has a half-life, stress does, too. We all ache to be the heroes of our own tales, right? Well, I’m not feeling too heroic these days. Cancer pushes lots of difficult buttons. It lays bare our basic vulnerability and underlines the uncertainty of this life. And prostate cancer attacks our culture’s ideal of manhood. The steely-eyed Marlboro Man isn’t expected to worry about incontinence and erectile dysfunction. Cancer feels bleaker than other diseases. Even though my health keeps improving, and there’s a good chance that I’m cancer free, I still feel stalked, as if the cancer were perched on my shoulder like some unrepentant imp. It’s harder to write about the weight of depression than it is to write about prostate cancer and its physical indignities. Cancer is clear biological bad luck. But depression, no matter how much we know about it, makes part of me feel as if it’s somehow my fault, that I’m guilty of something that I can’t quite articulate. This has also been a difficult post to write because during my dark waltz with cancer I’ve depended on my natural optimism and my sense of humor to help see me through. But depression blunts those traits. In the end, though, I believe in and trust in the healing power of the stories that we tell each other. And I wouldn’t be truthful to you or myself if I ignored the fact that I’m depressed … even as I wait for a brisk wind billowing out of the north that’ll blow this fog of mine away. Depression is a normal part of cancer. Let that sink in. Depression is a normal part of cancer and it can go on many months and even years after treatment has ended. Feelings of anxiety and chronic stress are a part of cancer. Scientific research has validated the fact that chronic stress suppresses the immune system. Most people will not report, or even admit to themselves, they are depressed; because they associate depression with having a mental illness. It is bad enough to have cancer. But who wants to be stigmatized with also having a mental illness? It is easier emotionally to blame the profound fatigue, cognitive impairment, poor sleep, etc. on the lingering effects of cancer treatment (chemo brain). Begin to take the steps to combat depression when you are first diagnosed with cancer. Many of the steps to combat depression are the very same steps necessary to restore the health of your immune system. I will be outlining these steps in my next post. “Post-depression is a great place to be. Even better than post-cancer” ~ Breast cancer survivor. Please share this post with anyone you know that has in the past or is now undergoing treatment for cancer. One response to Fatigued? Has Your Immune System Been Ambushed? The perfect article for my wife to read in her post- breast cancer treatment malaise. Thank you. She really resonated with your words.